This post is sponsored by BabbleBoxx.com on behalf of Healthy Choice. Thanks for helping me to support the brands I love. 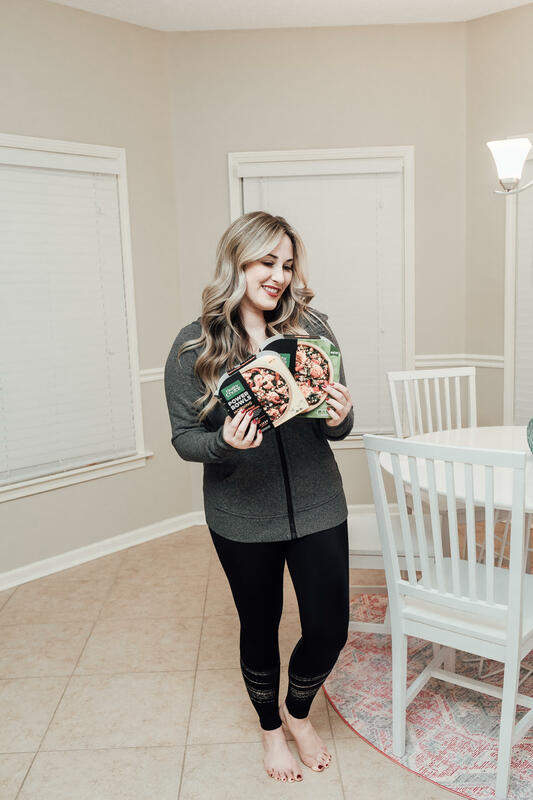 I am always on the lookout for healthy quick meals for the entire family. I recently shared some great options for Leighton, and today I’m sharing some great meals for the parents. = ) Healthy Choice Power Bowls are filling meals that deliver your daily fiber and protein. They have no artificial flavors or preservatives. They make Power Bowls for morning, Power Bowls that are great for lunch or dinner, and they even have vegan and vegetarian options. These Healthy Choice Power Bowls are not only quick, but they’re also nutrient packed, well-balanced and flavorful with plenty of spices, seasonings, proteins, grains and leafy greens. I’ve had other bowls from other brands before, and I feel like the ingredients are much more unique in the Healthy Choice Power Bowls, and I also think they’re much more filling. It really defeats the purpose of getting a healthy, quick filling meal if you have to eat 2 or 3 of them to get full. 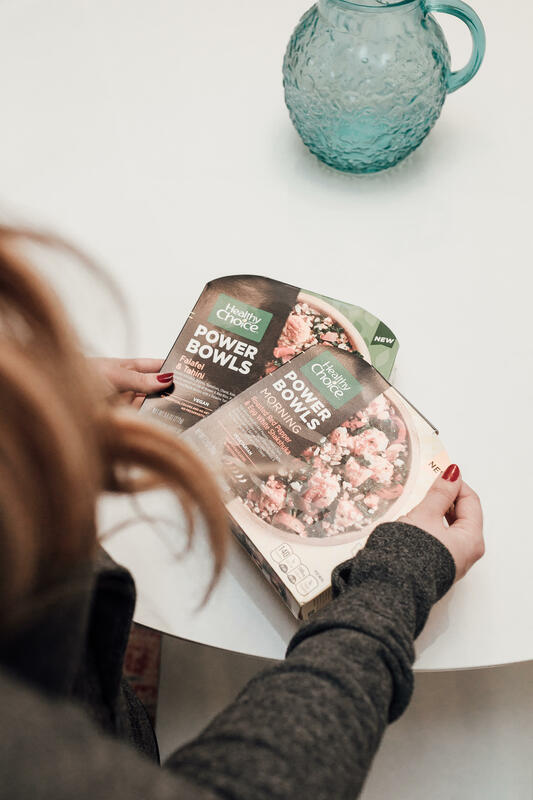 All of the Healthy Choice Power Bowls have a mixture of whole grains like red quinoa, whole grain barley, leafy greens like kale, chard and spinach and proteins. 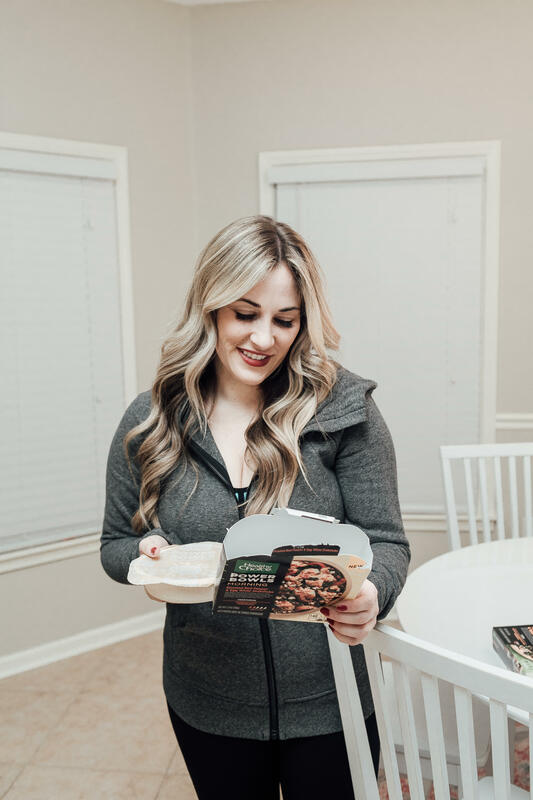 With our hectic lives, it’s good to know I can easily and quickly still have a healthy meal on the go with Healthy Choice Power Bowls. What about you? What do you eat when you’re looking for something fast and healthy? 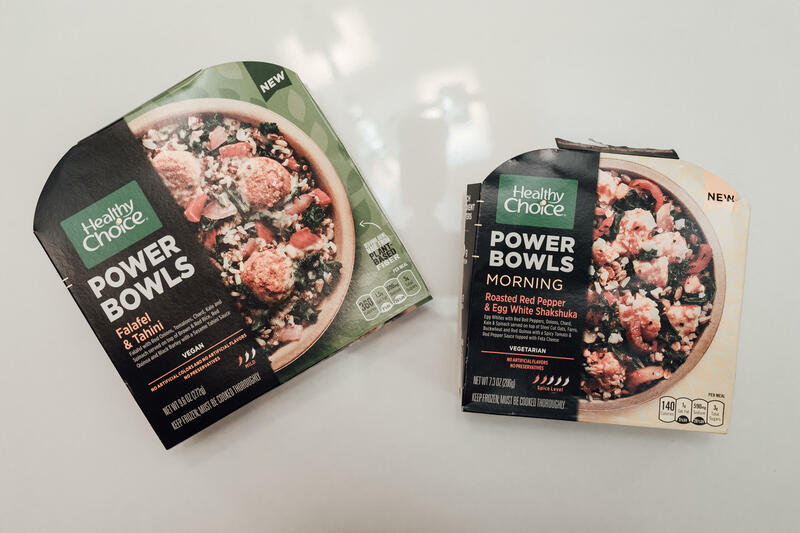 Have you tried Healthy Choice Power Bowls? Let me know in a comment below! I haven’t tried theseyet. I’ll have to try them. I’m always looking for something quick that’s nutritious. I love these, so filling and so easy to prepare. Saves you a lot of time in the morning. The falafel and tahini is right up my alley! Definitely, need to try this! These sound amazing – definitely gonna try! These sound great! I’m always looking for something quick and easy. You’re the second person I’ve seen mention these bowls! I need to try them! These sound like a delicious meal for the gal-on-the-go (definitely me). I always need a quick option when I’m a busy bee. Yess!! I grabbed one of these for work the other week and loved it- super healthy too! I definitely need to try this! I have the hardest time coming up with dinner ideas so this sounds so helpful. Those are a great choice for us busy ladies! That that they re still good for you too!